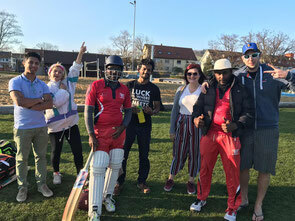 A confident Winterthur Cricket Club seals victory against Bern CC in their first warm-up game of the 2019 season. Bern CC won the toss and elected to bat first, after a steady start, Safi Samsoor who signed for WCC from Zug CC this year drew first blood by clean bowling the Bern opening batsman, then holding on to a simple caught and bowled chance to get rid of the experienced left handed Batsman Anish. Aseem (42) the Bern CC captain was the only batsman who looked somewhat in control who innings was also brought to an end by Bhanuka who has earned his place in the WCC first XI after working hard and showing alot of improvement last year. Captain Mohamed gave all the bowlers a go, considering it was the first game of the season and was reportedly happy with their performances, especially the slow bowlers who did a great job in middle period of the Berne Innings by drying up the runs and creating pressure and the faster bowlers were brought back to finish innings. The second highest scorer for Berne CC was extras with 40 (still things to work on for WCC). 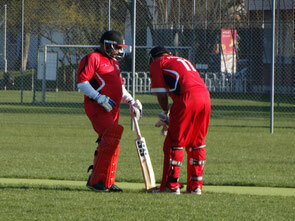 Bern CC ended up scoring 185/9 in there alloted 35 Overs. 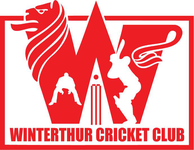 With a formidable batting line up in place for WCC, the captain decided to shuffle the batting order to give some game time to the otherwise middle order batsmen to showcase their talent with the bat, so Jagath (06), Gokul (20) and Anoop (21) were promoted to the top order with Cheema (31) and Abbas (21) playing in as reinforcement alongside them. The real deal started from number 6 when Prafull (02), Roushan (33*) and Kasun (03*) took to the crease to finish the game in style with 54 balls to spare. It was great to see the WCC batsman placing such value on their wicket and showing great character, as captain nothing can be more pleasing than this. Everyone got starts, and I am sure going forward the WCC batsmen will be able to convert these starts into bigger scores. Still more work to be done in the bowling department especially the issue with extras, but Mohamed told , "I am confident the lads will learn from this and come back stronger in the next warm-up game against Nomads CC next Sunday".